According to the National Safety Council, not only was 2016 the deadliest year on record for U.S. highway deaths in a decade with 40,000 fatalities, but an estimated 4.6 million persons were also seriously injured. A large number of the injured from auto accidents end up filing personal injury claims, either against the vehicle’s manufacturer, a road that caused the accident, or other drivers. The majority of injuries that occur in public areas, either publicly or privately owned, are due to slips and falls. These injuries are typically blamed on sub-satisfactory conditions like wet floors, snagged carpet, protruding screws or nails, poorly labeled hazard areas, or broken or uneven sidewalks. Government entities like cities, towns and counties, or businesses like retail stores or restaurants, are often the defendants in these types of cases. Even though workplace-related injuries in the U.S. are covered under workers’ compensation, tens of thousands of personal injury claims are still filed each year by workers injured on the job. Often, they seek awards to cover time missed from work, in addition to medical expenses. How often are workers sidelined due to workplace injuries? According to the Bureau of Labor Statistics most recent information from 2015 data, nonfatal occupational injury and illness cases requiring days away from work to recuperate occurred at a rate of 104 for every 10,000 full-time workers. The median days away from work to recuperate was 8 days in 2015. Occupations with the highest number of cases resulting in days away from work included heavy and tractor-trailer truck drivers; laborers and freight, stock, and material movers; and nursing assistants. These types of personal injury claims are usually against hospitals or doctors, and can result in large awards to claimants. The amount of damages that can be claimed typically depends on the type of error that occurred and the amount of harm done to the patient. According to one study by a medical malpractice insurance firm, medical malpractice lawsuit payouts added up to almost $4 billion in the U.S. in 2015. The research also showed the medical malpractice suits were also more likely based on which state you lived in. The 10 states with the most malpractice suits, for example, were Louisiana, Oklahoma, Delaware, Wyoming, Tennessee, Arkansas, New Jersey, Maine, West Virginia and Alabama. Those with the lowest number were Hawaii, North Carolina, Georgia, South Dakota, New Hampshire, Idaho, Illinois, Montana, Utah and Iowa. Despite companies having to follow strict rules and go through rigorous testing before bringing their products to market, unsafe or defective products cause of thousands of injuries every year. 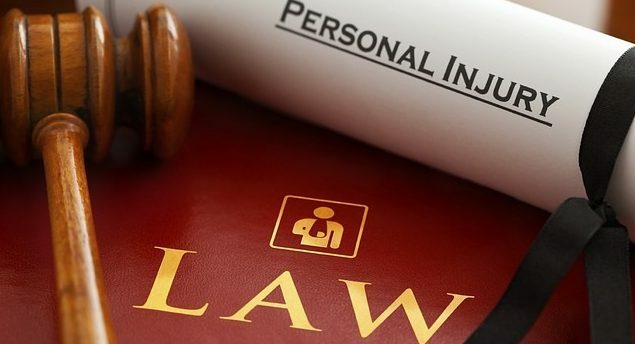 If a product malfunctions and the consumer gets injured, then personal injury claims can be made against both the manufacturer and the distributors of the defective product. Marrick Medical proudly provides medical funding for uninsured and underinsured accident victims, including those who have personal injury claims from vehicle accidents or public liability incidents. We have assisted over 30,000 patients, delivered over $150,000,000 in healthcare, and coordinated over 80,000 medical provider visits. Our vast network of healthcare providers allows personal injury patients to prioritize healing and recovery. For more information, please visit our homepage or contact us today.